I was so surprised to discover that it was a TwinGO baby carrier. From spending so much time with Cara & her twins, and even using her TwinGO to carry them myself, I know it will be almost invaluable in helping me get out and about with the boys solo. 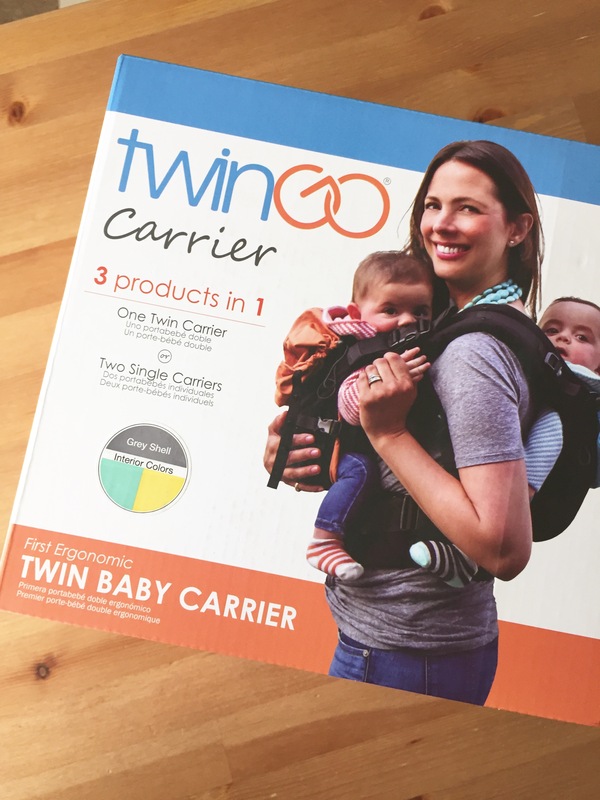 It also splits into two carriers, so Steve & I can each carry one when we’re out together. God calls Christians to be part of a church community for a reason. Being three-in-one, he himself is communal, and since we’re made in his image, we’re made for community, too. We’re not designed to go through the ups and downs of life on this earth alone. The church family is a big part of how God fuels and encourages us as we run the good race, even in our deepest valleys and highest peaks. Before moving to Louisville, I had gone to the same church since infancy. Everyone there knew me and my entire extended family. They blessed me in a thousand ways as I grew up, worked there in college, and got married there. Steve worked there for years, and God used them to provide everything we needed when we first started out, even an apartment to live in. They surrounded us with love in happy times, like our wedding, and in sad times, like the illness and deaths of my grandmothers. When we moved to Louisville, I knew it would be hard to feel as plugged in at a new church as I had in the past. We looked around at a few churches and finally decided on Kenwood Baptist Church. It helped that we already had several friends from Fayetteville that went there, but we also loved the preaching and the worship music and the feel of a smaller community. It took me a while to get settled in there, since my introverted nature makes it harder for me to make friends quickly. But eventually, it did feel like home. We got plugged in to a great small group and enjoyed being in the Word together and sharing life with them. It was alongside the Kenwood family that we found out about my infertility & decided to pursue embryo adoption. They prayed for us, encouraged us in the long process of adoption paperwork, and threw us a crazy successful bake sale. They rejoiced with us when we were matched, and walked with us through the first embryo transfer & miscarriage. When we moved to Oklahoma this summer, they were sad to see us go, but excited about such a great job opportunity for Steve. They’ve stayed in touch through the second transfer, pregnancy, and twin surprise. Our family at Kenwood was so good at showing the love of Christ to us, and sacrificing their time and resources to serve us. Through a lot of transitions that should have been hard, God used them to minister to us. It was a blessing to share in their trials and to have them share in ours. Already, our new family at Covenant Community Church has surrounded us with love and support through our move & the pregnancy, and they’re so excited to welcome these boys to the world with us in just a few weeks. I’m only at the 3rd church of my life, and God has provided yet another Christ-centered community of believers. This was a long post, but I guess I’m saying all this to encourage you to get involved with your church. 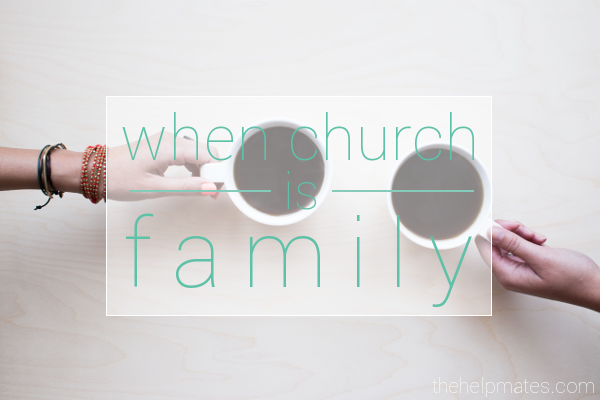 Don’t just show up on Sunday mornings, live life beside your church family. Invite them into your hearts & homes, change their babies’ diapers, play games & share meals with them. Pray & study the Word with them. You will be immeasurably blessed, in ways that you never could have imagined, and hopefully you will be a blessing, too. Every time I use this TwinGO, I’ll think of and pray for our friends at Kenwood. Steve & I are so excited to take our boys up there to meet everyone sometime – we love you guys!